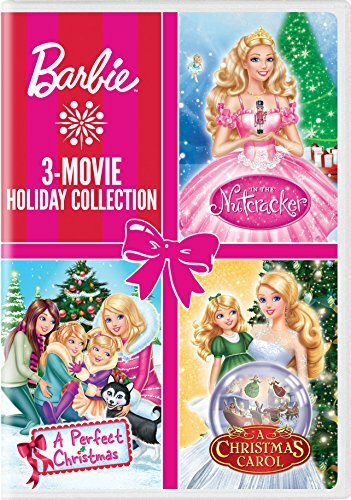 Join Barbie in this three-­movie collection as she brings magic, friendship and happiness to the holidays! Whether she's taking part in her favorite ballet, exploring wintertime fun with her sisters, or discovering the meaning of the season in Victorian London, Barbie's adventures show that—no matter the time nor place—the holiday spirit can make dreams come true. Brimming with music, magic and surprises, it's a family-­-friendly treasure that's sure to bring joy to everyone.